From our Spring 2018 issue, Andrew Davie‘s “Prolific: The Obituary of Jack O’Brien” recounts the adventurous & litigious life of an unorthodox TV producer. JACK O’BRIEN, CREATOR OF SOME OF THE MOST PROVOCATIVE SHOWS ON TELEVISION from 1974-1983, died Friday. He was 87. The cause is reported to be complications from diabetes. O’Brien helped develop Marlboro Jones starring T.J. Burnell about a private investigator in an iron lung who solves crimes from his apartment. Former Oakland Raider John “Killer” Katoogan played Marlboro’s partner Dan “Slade” Anderson. A fundamental reworking of Nero Wolfe, Anderson would do field work and report back to Jones who would figure out the culprit while incapacitated from battling the effects of botulism. The episode entitled “Just the Tip of the Spear” would win O’Brien the coveted EGAG that year (an Emmy, Golden Globe, AVN award, and Grammy). This was followed by a show O’Brien developed, The Shankbone Redemption, about an incarcerated Orthodox Jewish prisoner who must remain observant while trying to negotiate the pitfalls of prison life. A memorable episode involved everybody’s favorite inmate Moshe Horowitz digging a tunnel but being unable to use it until sundown. Another fan favorite included the episode where Moshe made kosher “Pruno” in his toilet. T-shirts with Moshe giving the throat slashing gesture and depicting the words “Give ‘em a Hebrew haircut” were a best-selling item in 1981. Toward the end of his career, O’Brien found a resurgence with a remake of the British show Spousal Privilege, about hitman Llewelyn Headstrong-Jones who tries to marry a witness who saw him carry out a murder. In 1984, while on safari in Kenya, O’Brien survived an attack by a group of almost 100,000 baboons. 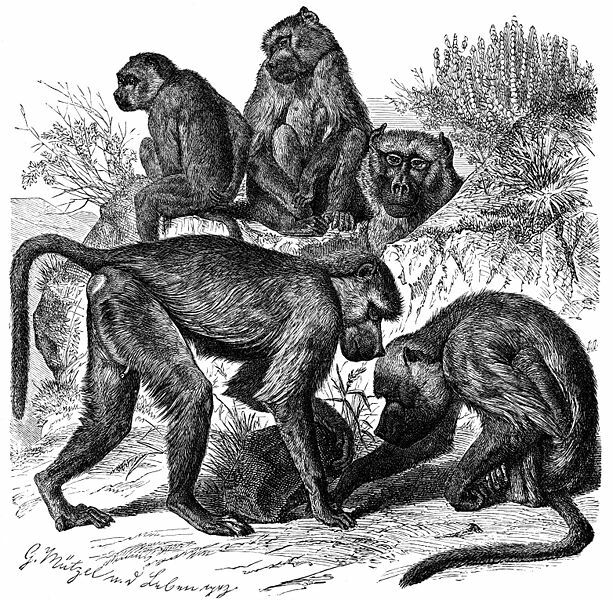 Suffering from the effects of a massive drought, the baboons had organized, descended from Mt. Kilimanjaro, cannibalized each other, and attacked humans. When the slaughter ended, O’Brien, like Quint from Jaws, vowed to destroy all baboons. He swore a blood oath and set up a compound in Kenya with the specific intention of hunting the species to extinction; he went after Papio hamadryas, Papio anubis, Papio cynocephalus, and Papio ursinus. He refurbished an old army jeep and mounted an M2 ‘Ma Deuce’ Browning .50 Caliber Machine Gun. Bolted to the truck bed, and belt-fed on a tripod, it was able to fire APIT armor-piercing tracer rounds capable of penetrating .75” thick steel plates at a distance of over 100 yards. O’Brien ran afoul of game wardens and local warlords who, regarding him as a common enemy, arrested and charged him with crimes ranging from unlawful trespassing to poaching. He was incarcerated in Isiolo Prison in Kenya for the next six years. Luckily for O’Brien, both prisoners and guards were all fans of Moishe Horowitz and The Shankbone Redemption, so he navigated his incarceration with relative ease. Upon his release, O’Brien renounced his history, bought an old schooner, and departed for parts unknown. Recently, photographs appeared of him having spent the last twenty years on the South Pacific island of Hanga Roa. There he established a following based on the teachings of the Ethiopian Zionist Coptic Church, and he spent the rest of his days preaching. Mr. O’Brien is survived by four ex-wives and twenty-four children. In lieu of flowers, the family is asking for donations to pay for his outstanding legal debts.